Perfect for cafes, bakeries and busy retail environment. 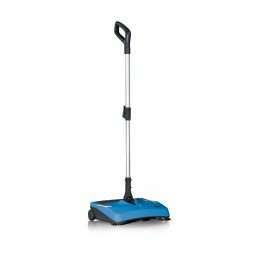 The BROOM boasts a rechargeable Li-ion battery for 40 minutes of continuous sweeping. With ergonomic features, the fexible handle joint allows for extreme manoeuvrability, perfect for cleaning hard to reach places. The Conquest BROOM’s cordless design also makes it simple and safe to sweep up in crowded spaces without a trail of hazardous cords behind you.